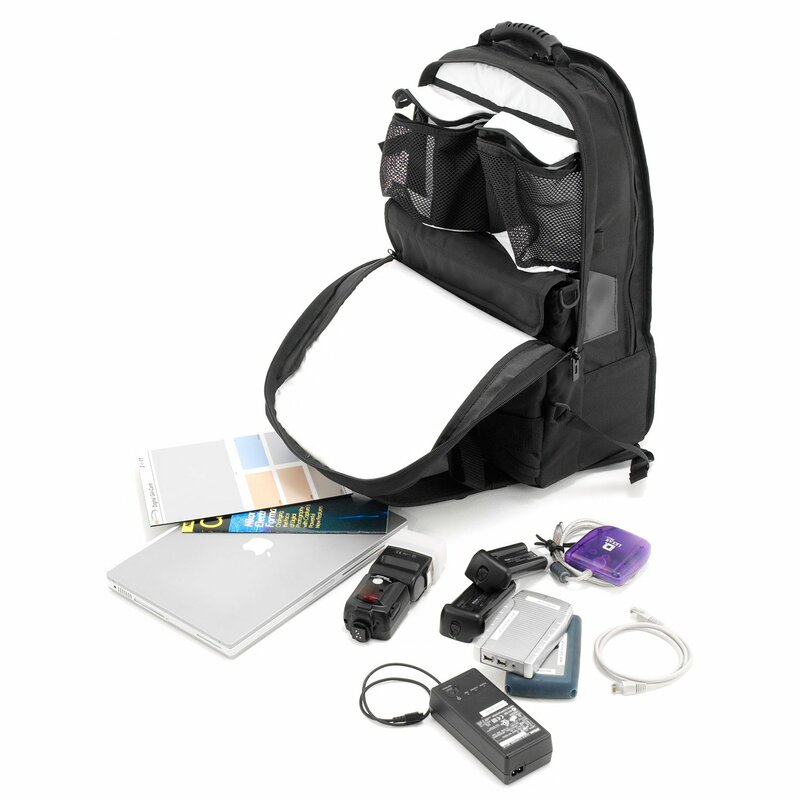 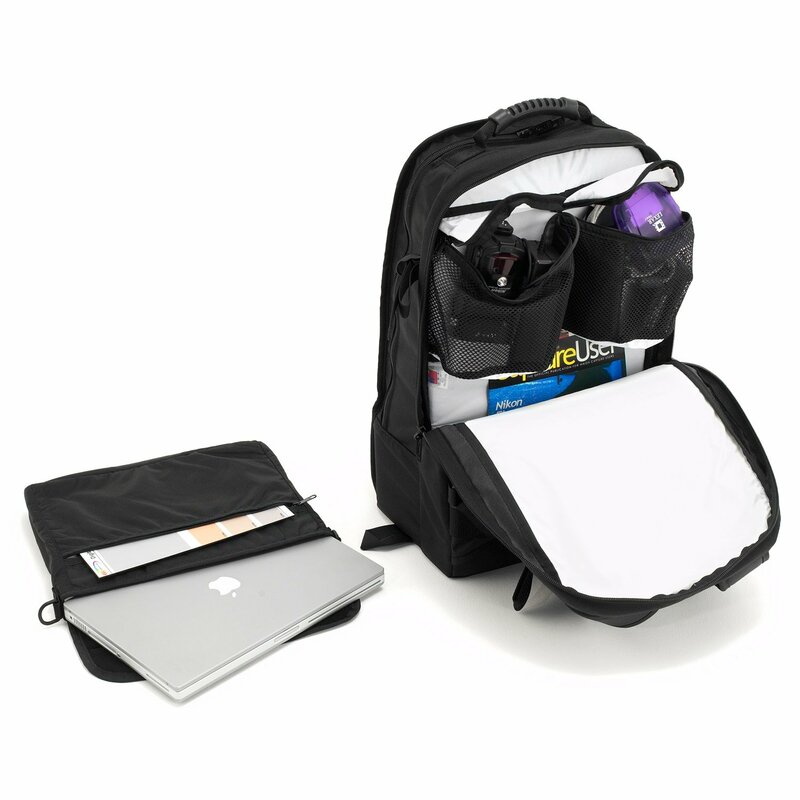 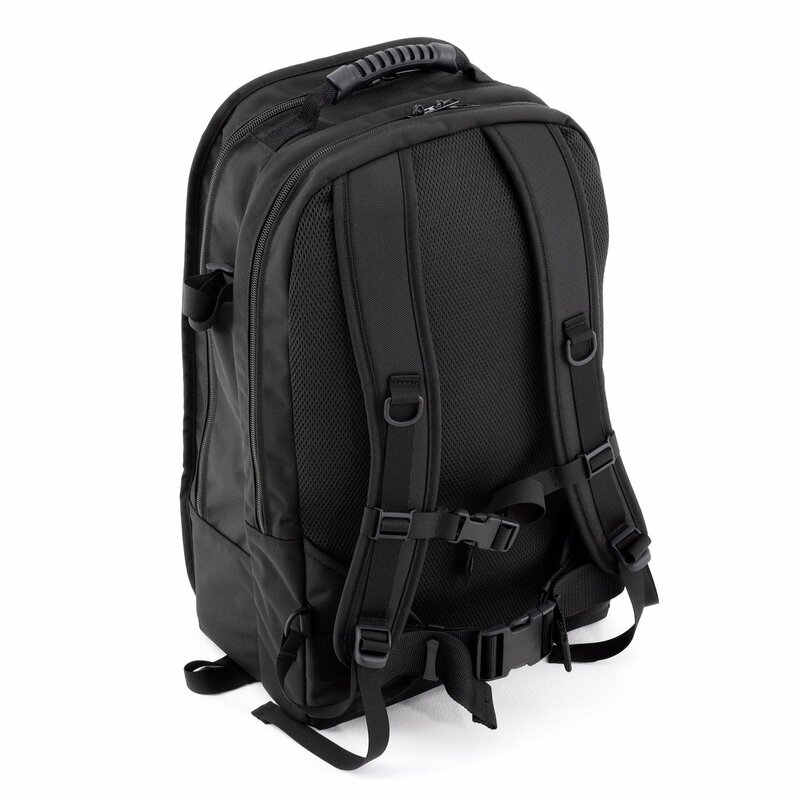 The Digital BackPack differs from other similar products in that the case can stand straight up making equipment easily accessible. 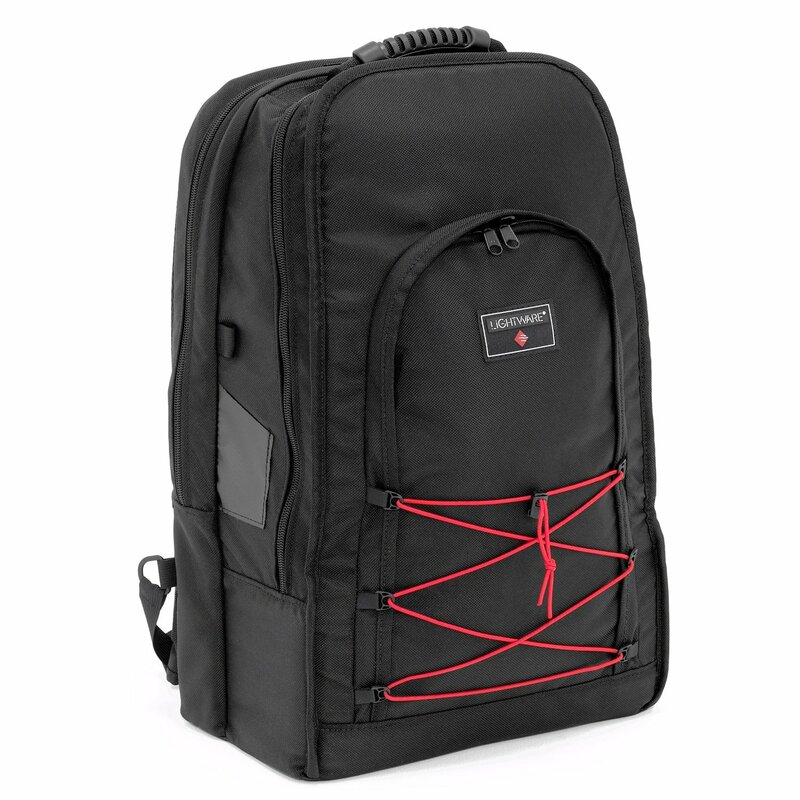 The front of the BackPack sports an adjustable laced bungee cord to stuff your rain jacket. 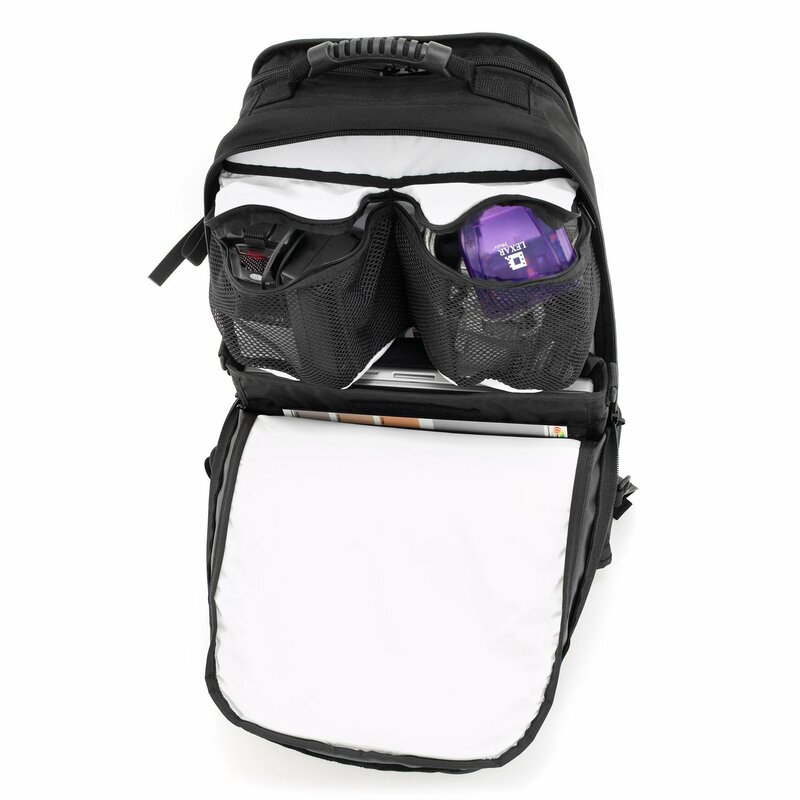 Plus there is an outside zippered pocket where you can keep pens, small tools, batteries, and small dittys.